‘The pen is mightier than the sword’. A phrase that is sometimes meant to represent the power of words over deeds and how the draw of diplomacy can be a more useful tool than going full metal jacket and chopping someone’s head off. Haimrik is a highly original game, told through a brilliantly simple tone, with gameplay that is fresh and innovative. But what is it? Well, the story involves our hero – the titular Haimrik – a down on his luck scribe who lives in a small medieval town with his mum. Oh, and he is in love with the local landlady, who despises him. After gaining a magical book with an unusual trick, allowing the user to offer their own blood in order to enter a strange world of words and stories, gaining immense power in the process, things quickly change for young Haimrik. This power brings the ability to use words to create objects or weave the narrative of the story with a battle, a puzzle, or a boss. The game itself is a mixture of two different worlds and gameplay styles. The first delivers a normal 2D adventure game that involves you walking around the village or world, interacting with the brilliant characters or trying to find an item to move the story on. The other world is the one inside the magical book, where Haimrik is thrown into a land of enchanting words, boss battles and quests. How it works is that you are presented with the story words underneath the path you are walking across. For instance, it might say “Haimrik was walking and he found a crossbow”, so if you walk and stand on the word ‘crossbow’, a crossbow will appear in your hands. That’s a very simplified version as an example, and it doesn’t take long before you’re actioning much more complicated things in the later levels. 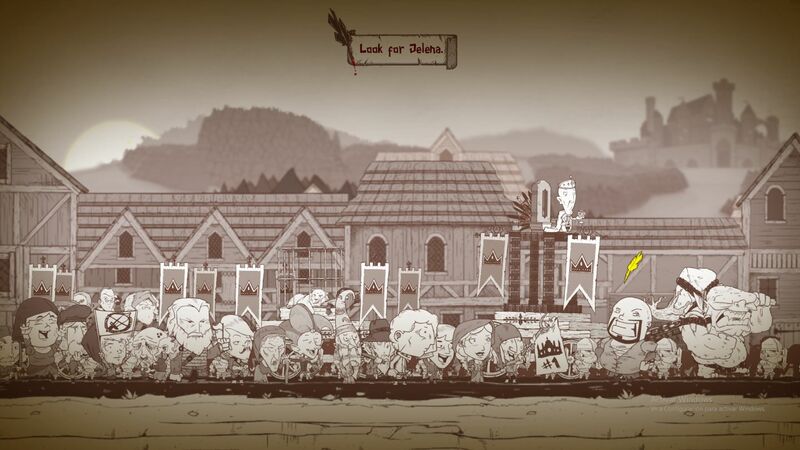 Without spoiling the puzzles, you’ll be found dealing with leeches, werewolves, and blood thirsty bandits. At the end of these levels, you progress the story in the real world, usually by getting an item you need to progress through the game. Occasionally you come across a massive boss fight in this world, where you might be getting chased by a dragon, or a wizard throwing all sorts of trouble at you. These are fast paced affairs whereby you have to summon items from words swiftly and use them even quicker. These fights are very enjoyable, though towards the end, when the whole tale of Haimrik gets very tricky, you will be found dying and repeating an awful lot. The gameplay and overall design is a very interesting piece of innovation. 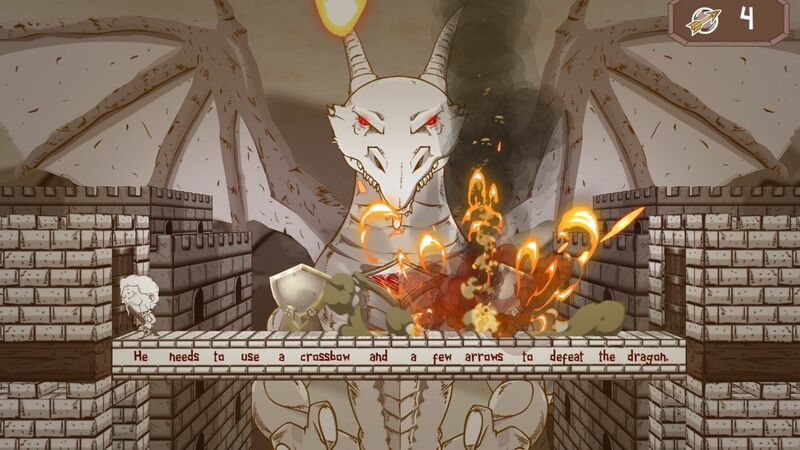 There have been battlegrounds filled with words before – think of those along the lines of Letter Quest – but nothing that is quite as inventive as the puzzles and boss battles used in Haimrik. The world the developers have created is like something out of a distorted Disney, with a heady mix of gore and mischief. But then it reminds me of South Park at times, especially in the visual tone. For all the great things that Haimrik does, some of the puzzles and boss battles may well prove tough and possibly too much for certain people. But the game gave me enough enjoyment to keep plowing on through. There is obviously a bit of combat included – of a sort – but it’s weak and I think that’s the point, as this is all about brain over brawn. In fact, it is a very clever and constantly inventive game with puzzle elements that are both smart and fun. Visually, Haimrik adopts a sort of cartoon hand-drawn style that I find exceptional. Combining art, over the top violence and glorious characters, this visual tone is one of the highlights of the game. The whole way it tackles the level design and colour palette is unique and interesting to view. Sound wise there are some rather neat effects and a relentless soundtrack that can begin to grate quite a bit. 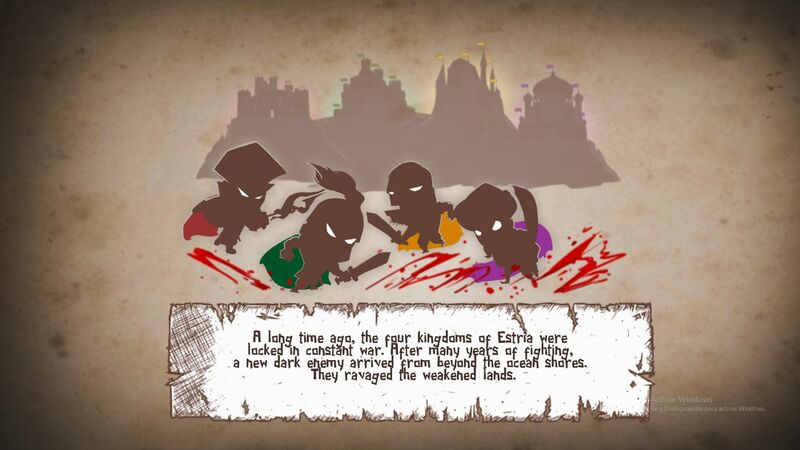 Overall though, I would recommend giving Haimrik a go if you’re a fan and partaker of games that like to be a bit different or a bit off-beat, as it comes with a highly entertaining visual tone, funny humour in the writing and some gameplay that is inventive and unique. It won’t be for all as there are bits that drag somewhat, the soundtrack hurts my ears and I feel it could be a tad cheaper, however I love games that take a risk while pushing the creative boundaries outwards and upwards, and Haimrik does that with some relish. Previous articleConsole release and physical version of Monstrum confirmed!